Since 1996,the SCP has been dedicated to the cleaner cotton™ program,which advocates the idea that grower grow the high-quality cotton by using biological way,without using the most toxic pesticides and herbicides.They collaborates with the University of California and local growers,through scientific management way to reduce the bad effect from using toxic chemicals.This project not only helps local growers changing the way they farm, but also help to protect the land,air and water resources in this region.With SCP ’s support, local growers changed their planting way by implementing biologically based practices. 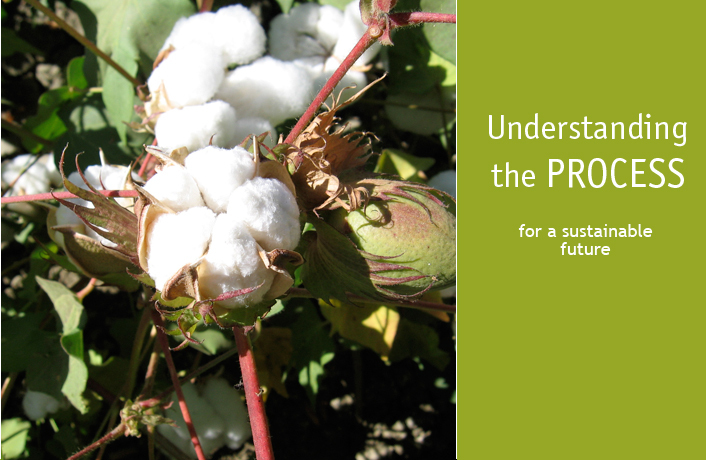 Now SCP connect with the local growers,manufacturers and consumers for developing an effective Cleaner Cotton™ supply chain. Before sowing the cottonseed,cotton growers use the fresh poultry manure,plant stems and leaves to increase the organic matter of the soil.They also grow the plant habitat in the cotton field,like mustard, sunflowers,corn,and alfalfa,to shelter the beneficial insects which can catch and feed on pest insects in the cotton field.Those kind of beneficial insects help to reduce the pesticide which be used to kill pests. Cotton growers can harvest the corns,alfalfa,mustard after habitat plant growing,the rest of stems and leaves can be processed as natural defoliant.In the Autumn,the cotton ball become matured,through ginning process growers acquire the cotton fiber,cottonseed and trash.The cost of the ginning is repaid by the gin keeping the seed which then goes into cattle feed,gin trash is also fed to cattle. 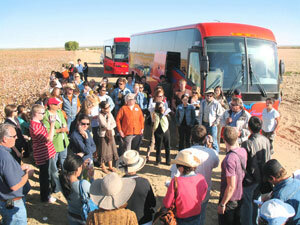 The SCP and the University of California promote the program that grower use the sustainable way to grow cotton together.They offer local growers the technical support,scientific management and lectures, help them manage their cotton field better;Cotton growers provide planting experience and information to the SCP. 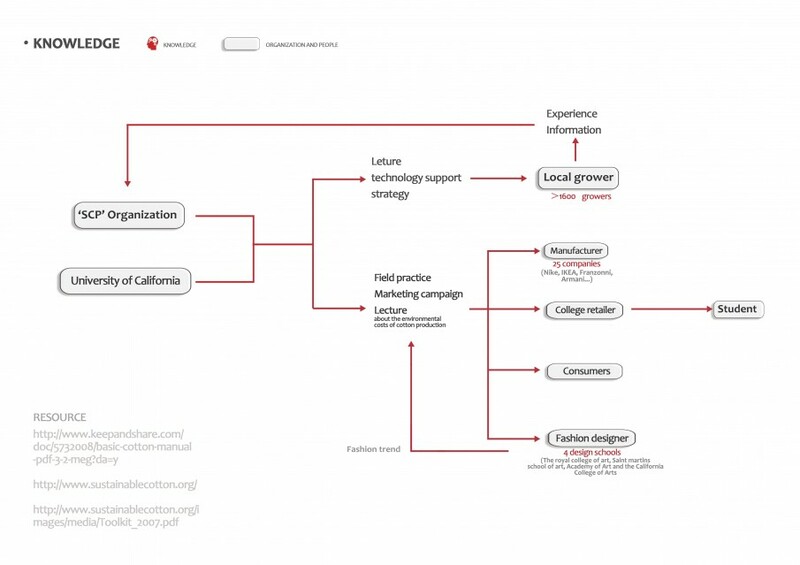 At the same time,the SCP build the market demand for organic cotton.They educate public by giving lecture which about the environmental cost of cotton production and encourage site visits.they also had a program in the college campuses that sale their organic clothing in school shop and encourage students to wear the organic product.This program outreach to fashion design school,emphasize information on sustainable design and the impacts of choosing environment-friendly fiber,fashion designers who affected by the program also influence the future fashion trend and the public. Cotton is the top 20 most pesticide sprayed crops in the California,a large number of agrichemicals be used In the process of cotton growing.In 2003,more than 6 million pounds agrichemicals be used in 1,400 cotton farms(about 700,000 acres) for growing cotton,which caused great damage of soil,water and air in that area.It is important for California government to find a sustainable planting way to replace the traditional one. 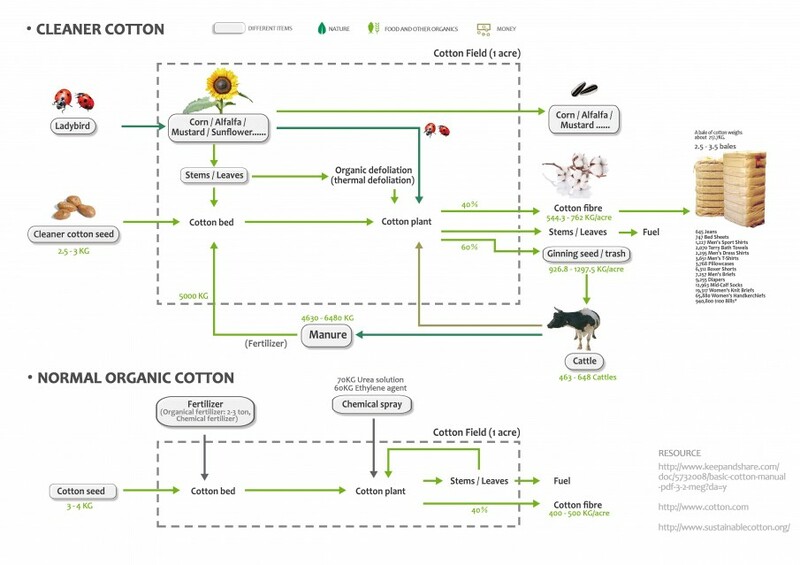 On one hand,the SCP makes customers and local growers understand what is Cleaner Cotton™,and build the market demand for the Clean Cotton™.On the other hand, they helps local growers grow cotton in a sustainable way by offering technical support and lectures,replaced the traditional growing way by using the biological based way. First,people get use to grow cotton in the traditional way,and they don’t know what is Cleaner Cotton™ and how to grow it.Through giving lectures, technical support,the SCP helps most of the local growers change the traditional growing way to biologically based way.They also educate the customers,manufacturer, fashion design school and the retailers about the environmental costs of cotton production,and what is Cleaner cotton. Second,because the cotton prices became lower in the California,cotton growers in the SCP began reduce the area of the cotton planting and increase the area of alfalfa and apricot. In order to adapt this situation,SCP tried to expand its outreach on the cotton planting as well as the almonds and alfalfa,they collaborated with the Central Valley alfalfa,almond and cotton growers to implement biologically based management, reduce the toxic agrichemicals in the growing process. 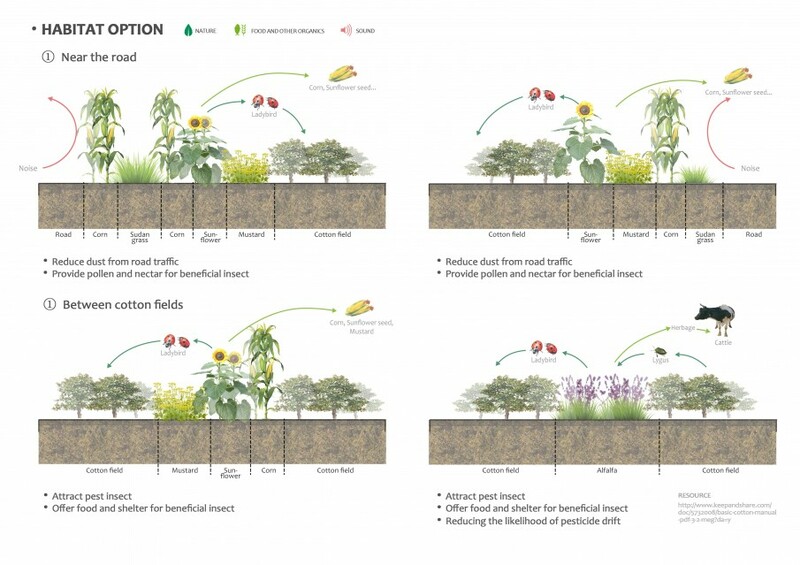 Cotton growers in SCP grow the plant habitat along the edge of cotton fields or between two cotton fields.On one hand,those kind of habitat plant not only shelter beneficial insects,but also become the food source(nectar and pollen) of insects.On the other hand,it protects the cotton crop from the dust and noise of passing vehicles effectively. 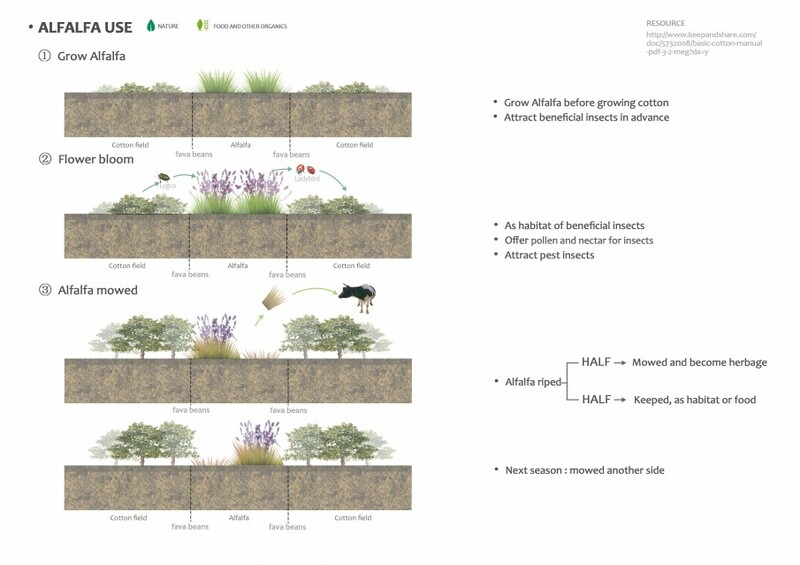 Nowadays,a large amount of chemicals be used in the growing process,this project promotes the program that grow crops by using biologically based methods.They use plant to build up kind of habitat for attracting beneficial insects and let insects do the pest management work.It would be very helpful in the future that human imitate and use the ecosystem to replace the toxic chemicals.